E-government (e-gov) projects have an increasing influence on how government business processes evolve and change. While early e-gov projects focused on government-to-public information and interaction, the second and third wave of e-gov projects also emphasize internal effectiveness and efficiency, along with intra- and interdepartmental as well as intra- and interbranch integration. With these increases in scope and scale of e-gov projects, existing business processes, including core processes, become candidates for improvement and change. While the private-sector-oriented literature on business process change abounds with descriptive and prescriptive accounts, no equivalent has been found in the public-sector-related literature. Although many insights drawn from the private sector may apply, the public sector seems to develop distinct practices. 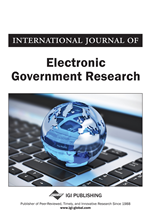 This paper contributes to the understanding of current practices in e-gov-induced business process change, comparing those practices to prescriptions derived from private-sector experience. Among other factors, the more inclusive approach observed in e-gov business process change may explain the higher success rate of public-sector projects compared to those reported from the private sector.